#ZodiacMyths: Exciting Legends about Your Star Sign! There are two major Greek legends behind the coming into existence of Aries. The first involves the story of Athamas, the king of Croneus. He had a son names Phrixus and a daughter called Helle with his first wife Nephele. The king later married Ino, daughter of the King of Thebes who bore him two children. Over time Ino grew extremely jealous of Nephele’s children and hatched a heinous plot against them. Nephele was gifted with a ram with golden fleece by Zeus, the king of the gods. With the help of the ram, Nephele rescued her two children. While travelling on the Ram, Helle fell to her death while Phrixus survived; he then sacrificed the the ram to Zeus and hung its golden fleece in Colchis. The more well-known story involving the fleece is that of the Greek hero Jason, and his compatriots, the Argonauts. Jason and the Argonauts went on a treacherous quest to retrieve the fleece which had miraculous medicinal and healing properties. Zeus later placed the ram in heaven, giving rise to the constellation Aries. The legends associated with Taurus also hail from Greek mythology. If you are a little aware of the Greek myths, you would know that Zeus was quite a ladies' man! He was reputed to fall in love with women everywhere, whether mortal or immortal, and resorted to some crafty means to attain them. Europa was a beautiful girl who could not escape Zeus’s fancy one day while playing with her friends on the seashore. Zeus transformed himself into a beautiful white bull and approached her. As soon as she took a liking to the gentle and graceful creature, climbing onto its back, the bull plunged into the sea and took her away to the island of Crete. The god then revealed himself to Europa and took her as a lover. The bull was placed in the heavens by Zeus as a sign of love, strength and beauty. The second legend is more common and involves the story of the Greek hero Theseus and the half-bull, half-man beast known as the Minotaur. 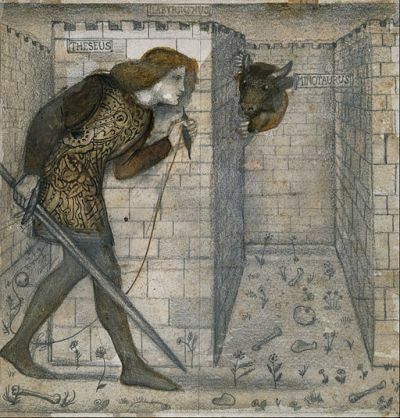 The Minotaur lived in a maze called the labyrinth in Crete and was offered a tribute of men and women every year. 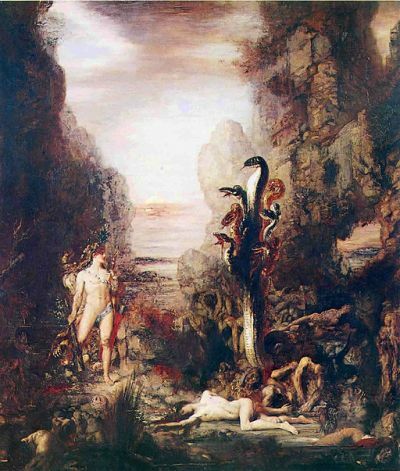 Theseus slayed the beast and escaped the labyrinth with the help of the Cretan princess Ariadne. Gemini, or the twins, actually tell the story of the twins Castor and Pollux. These two Greek heroes are known for their legendary adventures and battles. They were two of the four children Zeus bore with Leda. Their sisters were Clytemnestra and the beautiful Helen because of whom the Trojan War was fought. Castor and Pollux were part of the Argonauts who went on the quest for the golden fleece. Both of them died quite young in combat. Zeus favoured them both and placed Pollux in the heavens. But Pollux did not want to be separated from his brother even in death, and pleaded with Zeus to rescue Castor from Hades, the underworld. Zeus answered his pleas and the brothers were reunited in heaven, where they still shine together. Cancer, or the crab, is the first of the zodiac placed in the heavens by an immortal other than Zeus. Hera, Zeus’s wife, was quite envious (quite rightfully so, if we may say so!) of his various escapades, including his several counts of infidelity. Hercules, the Greek hero, was a demi-god, born of the union between Zeus and and the mortal Alcmene. During one Hercules's twelve labours, that involved killing the multi-headed serpent Hydra, Hera with the aid of the Titan Gaia sent a giant crab to kill Hercules. Hercules slayed the crab easily and then proceeded to finish the monstrous Hydra. Hera placed the crab in heaven in deference to its service. Hercules was tasked with completing twelve labours, twelve near-impossible feats. The first of these was to kill the Nemean lion, a powerful beast that terrorized the land of Nemea. 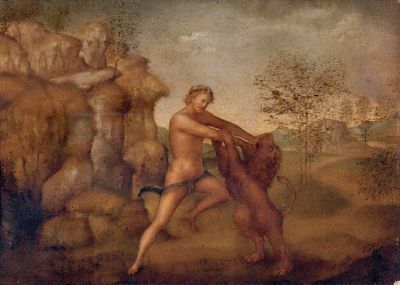 The lion’s hide was impenetrable and hence Hercules killed the beast with his bare hands, throttling it to death. He would later wear its hide as an armour. The lion was placed in heaven as a symbol of beauty and power. The figure of Virgo is that of a woman, believed to be a goddess. When Pandora, the first woman according to the Greeks, opened the box given to her by the gods (despite the warning that she should never reveal its contents), she released sorrows and hardships that would plague humanity for all of eternity, from greed to spite. A lot of minor gods and goddesses left earth for the heavens after this event. Astraea, the goddess of virtue had to leave too, in spite of her reluctance. It is said that she still longs to return from the heavens and looks at her loved earth from the night sky. The other story holds that the goddess is Persephone, the daughter of Demeter, the goddess of harvest and agriculture. Hades, god of the underworld, fell in love with Persephone and abducted her to the underworld. 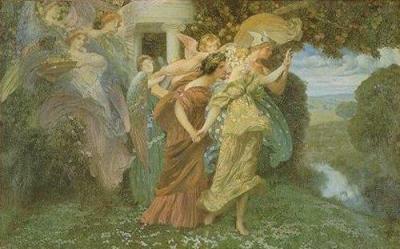 Outraged, Demeter cursed the earth with death and decay, which led to the destruction of all flora. But Hades was in love with Persephone and wanted to wed her. A deal was struck where Persephone would spend half the year in the underworld and the other half on earth. Thus the seasons were established. Libra, or the scales, is symbolic of justice. Dike was a minor goddess of the Greek pantheon, the daughter of Zeus and Themis. She was the goddess of justice, the spirit of moral order and fair judgement. 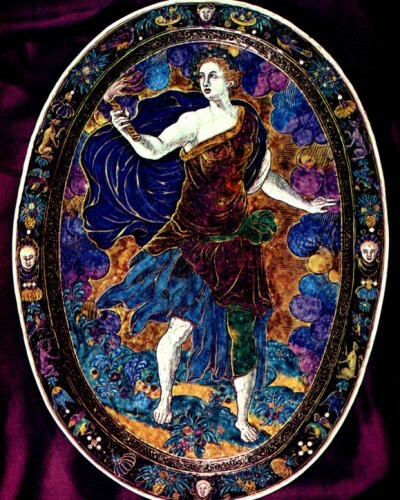 In popular iconography she is depicted with the scales, and holds similarity with Astraea. 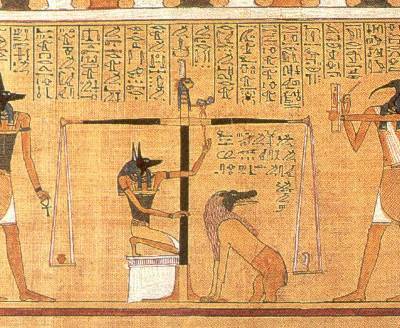 In Egyptian mythology, the jackal-headed god Anubis of the underworld was responsible for weighing out souls before they were sent on of the two roads, one of which led to the land of Osiris or heaven, and the other to the underworld. 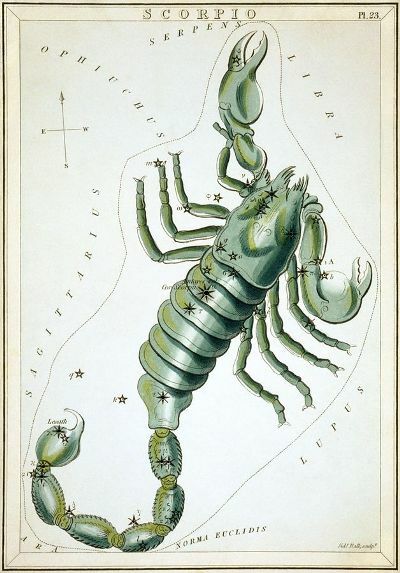 The Scorpio legend is related to the story of the giant scorpion sent down by the goddess Artemis, goddess of hunting, to kill Orion, son of Poseidon, the sea-god, and the Titan Gaia. Orion was a giant and infuriated Artemis with his impudence. The scorpion stung Orion and killed him. Artemis later placed her servant in the heavens. Sagittarius, or the archer, is commemorative of the heroic figure Chiron. 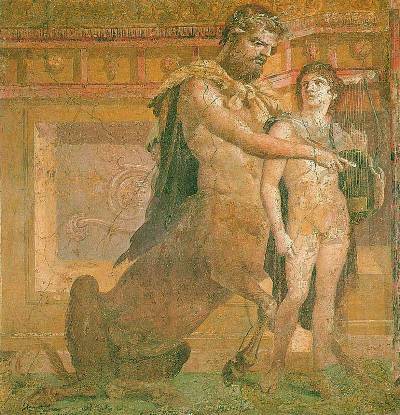 Chiron was a kind and gentle centaur - a creature with the torso of a man and the body of a horse. 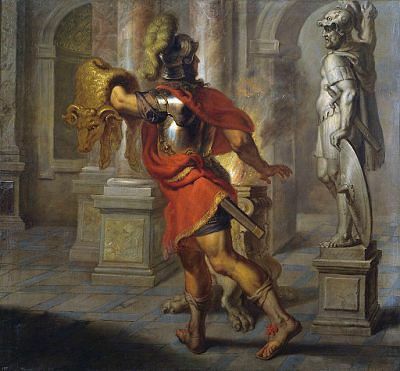 Chiron was known for his wisdom and tutored the Greek heroes Achilles and Jason. Born of Chronos the Titan, Chiron was immortal. Hercules accidentally shot Chiron while battling other vicious centaurs with arrows tipped with venom of the Lernean Hydra he killed. Chiron was in terrible pain, but couldn’t die. Prometheus, another Titan, made him mortal and Chiron was placed in the heavens forever. Capricorn, or the sea goat, is identified with the powerful Babylonian deity Ea. The god, with the lower half of a fish and the head and torso of a goat, lived in the ocean and came out every day to watch over the lands. The Greeks conflated the Babylonian deity with their own legends. Pan, a satyr, god of the forests and woods, had similar features. After Rhea gave birth to Zeus, afraid that his father Chronus the Titan would devour him, hid the boy on Mount Dicte, where a she goat named Amalthea raised him. Legends say that Zeus later placed her in the heavens. According to many ancient cultures, such as Babylonian, Egyptian and Grecian, there was a deity identified as the water bearer or water pourer, thought to be the one who sustains life. 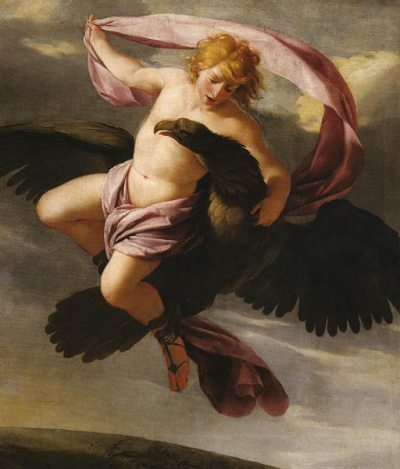 The Greek legends talk about Ganymede, a beautiful young man whom Zeus was enamoured by. He took the form of an eagle and carried him to the heavens to be made his cup bearer. 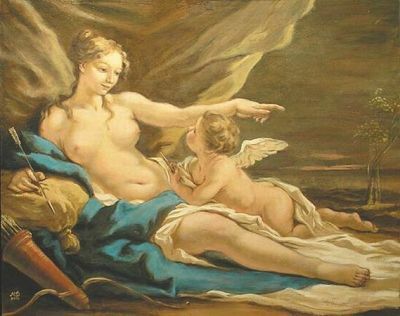 Aquarius is said to be symbolic of Ganymede. The twin fish owe their origin story to Aphrodite, the goddess of love and beauty, and her son Eros. When Typhoon, an ancient and powerful Titan, attacked the gods, Aphrodite and Eros escaped its wrath by plunging into the ocean and turning into fish. Other fish helped them swim away to safety, and the goddess, remembering their kindness, placed their image in the heavens. MUST-READ: #BestieAlert: Which Sign Is Your Zodiac Bestie? MUST-READ: #SpiritAnimal: Which One Is Yours?